Lovely photo. May I wish you and all the people around you a Merry Christmas. I’ve just checked the winner list for the latest Shelter Challenge..Congratulations on getting the $1000 grant!! If I’m completely off the deep end and missed where they did win $1000 could you send me that link so I can jump up and down, after I whack myself for missing it? Again, the site was confusing to me and others as well in how it posted the results. Thank you for your visit to my blog and for your “follow”—I am now “following” you…You have an interesting site! Beautiful mission and congrats on your grant. Best wishes! I am a dog lover and have grown up with them from when I was a wee small boy. I got my first guide dog, Nixon in my early twenties and am now the owner of a lovely brindle lab/retriever guide dog called Trigger. http://kanzensakura.com/2014/03/27/wooo-hoooo-better-than-freshly-pressed Please go to this link. I am giving out awards like a wild woman and want to be sure you go and pick out what you want. Thank you for following my blog and thank you for your blog. Thank you for nominating me for awards…. Paulette, my precious, I had to make unsubscribing on Shelter Challenge. It seemed to me the challenge was over, right? I left my reply on the thread and had enabled reception of notifications for other reviews; well, some users were quarreling among themselves and this already did not like (they had lost the true sense of that challenge; Animals Welfare!). Please let me know if/when the challenge will start again, ’cause I will still have my votes to SPARC! I don’t care diatribes and fake animalists. I care about honest people and welfare of animals. I’m so sorry that SPARC is not among the winners! But all the same you won! You are precious, sis. Your work, your honesty, your love for animals are your win. You can do more for your shelter and keep track of your votes. Create a Shelter Challenge account today! We're gearing up for the "Ultimate Cute" Shelter Challenge, where you can vote every day to help your favorite shelter win. There's more to explore – you can create an account, recruit others to help, and share your photo of the cutest rescue pets ever. Don't forget to click to help animals at The Animal Rescue Site! Stop the slaughter of baby seals! Stop such horrors! How much evil, oh God! Hi Paula! Just featured you on my page of books by bloggers I’ve enjoyed reading. So cool that you donate the profits. Best wishes. 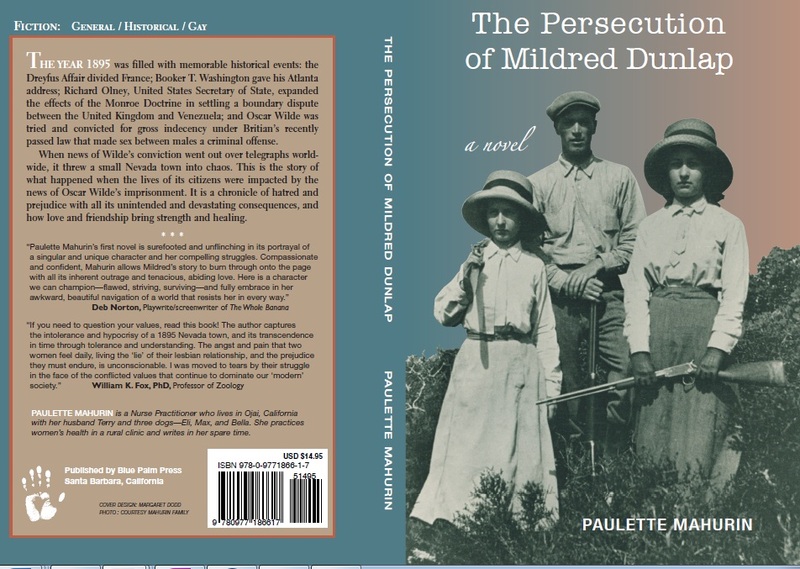 Hi Paulette, I have finally started reading the Persecution of Mildred Dunlap (sorry it’s taken be so long – have had it on my Kindle for about a year!). I’m hooked, can’t put it down, so expect today (Sunday) will be a nice day for some writing and reading! I told my Dad about it and he’s read a review on it – he can’t remember where but when he saw the front cover, he said “yes, that’s definitely it!” So the reviews are spreading far and wide! I’ve finished ‘Mildred’ & loved it! Well done on creating such an evocative story & have created such real characters. When is your next novel coming out??? forgive me, have not written more anything. My health has worsened. I’ll write you in private for updates. Pray for me and for my loved ones, please. To you all good. Love. Dear Paulette, I am stopping by (ever so joyfully) to thank you for always visiting my blog and your lovely clicks on the “Like”. I have been extremely busy, as we all are, and haven’t been able to come over to comment on your posts. Once again, I am so very happy to have done so today, as your pictures are a soothing effect on my rushed presence. Best wishes: ALWAYS! Hope you’re well. Hope you’re peaceful. Always in my <3. Nothing goes well. Am a shadow of myself. Don’t forget me, sweet sis. You are too precious for words. Just stopped by and left a 🙂 ❤ for ya'll. I know we have communicated before. Thanks for your follow and I look forward to more of your posts. I’m so glad to have met you and am looking forward to reading this after I finish your second book! Thank you for all you do for the animals. I was very pleased to send my first royalties check for my book to an area rescue group to sponsor 3 dogs that they had rescued from several states away. That is wonderful that you are doing that. LB Johnson “The Book of Barkley”. I love what you’re doing with your work, Paulette. Thank you for supporting such a needed and noble cause. My own hound thanks you, and the many, many little lives you touch doubtlessly bark thanks on your behalf. And because you’re made of such similar fabric to me, I’m compelled to share my absolute favorite short youtube vid that my daughter passed on to me this week. I’ve cried with laughter. I hope you will too. Cheers! Thank you for stopping by my blog and the like. I liked yours too. Blessings and best wishes for success with your book. And, the same to you. You’ve an impressive site that I enjoyed stopping by. Thank you, Mildred. You are very kind. How very wonderful what you are doing! Thank from the animals and for visiting my blog! Well all this is amazing! Very nice to meet you and I very much appreciate the correlation between what I am working on and EKRoss. When I just did some research on her, I see there are worldwide chapters to carry on her compassionate deeds and share her words. This is interesting and this is a new path I have just found myself on because working with them would be a way to serve and yet, gain the self-fulfillment that comes from taking honorable actions. Well, you have a transcript of an interview that your friend did with her. This is big information and please consider making a Book out it for humanity’s sake and mine because I would very much like to read it. Of all persons that could write the book from her transcripts would be you. You already know how to do it because you are a talented writer and bestselling author: Congratulations! OK, I am in a bit of shock of all I just learned and this is good! God bless you. p.s. I can tell your book is really intense and literally enlightens folks. Thank you for stopping by and liking one of my posts! I’m looking forward to reading more of what your blog is all about. Best wishes on your wonderful work for the animals. Many thanks for ‘liking’ my ‘About’ page. All the best in this noble caause! Link, links, and more links. Here I sit, reading blog postings on the blogger birthday part. Came across Chicago Files. And a link to your site. I am jumping that I have finally found a few Chicago types that will read about my growing up (1941) in Chicago, on the South Side. Look at my stories, about one per month, plus a few extras. You will be kept in rapture [ :o) ] when you read of Jimmy O’Neil’s past. FOLLOW ME. Let me know how I am doing. I already wrote about the snow and the “L” rides. There is more to come. Thanks. Congratulations on tackling such a challenging topic in a way which has earned such outstanding reviews! Paulette cara, io sto molto male. Per favore, prega per me. Thank you, so sweet sister. Great website..awesome content! I just nominated you and you deserve this. Hello! Beautiful writing! I also wanted to tell you thank you SO SO SO much for taking the time to read my post “Please Help Our Momma” that was reblogged on the Our Rumbling Ocean blog. It means the world to me that you stopped to read about our cause. I’d humbly like to ask that you consider making a contribution to the cancer relief crowd funding campaign me and my twelve year old brother made for our mom who is fighting third stage colon cancer. Attached are both the links to my original post as well as the campaign itself where you can donate. Please take time to put my family in your consideration this week. If you cannot donate please at least reblog our cause. I know you can help make a tremendous difference! Bless your sweet hearts and your cause. Your link is now on my home page and I hope all that see my answer to you have a stop by to lend a hand. Wishing you success with your cause and most importantly a cancer cure and many healthy happy years ahead for your mother. My heart soars as a fellow animal lover to “meet” another soul who is passionate about helping animals. Kudos to you on your book and your efforts with animals!!! I am a painter, and did a series of 40 paintings focusing on ” The Stray Dogs of Nicaragua.” Whenever I sold a painting I used part of the proceeds to feed street dogs and foster cats and kittens to health, for adoption. Such a satisying of spending time and energy! Recently, I became involved with helping a baby elephant in Sri Lanka. Best of luck from one animal lover to another!